The integrated Translational Health Research Institute of Virginia, or iTHRIV, has received a $23 million grant from the National Institutes of Health. The five-year grant will be used to accelerate the development of new treatments and cures through data science expertise. The iTHRIV consortium includes the University of Virginia, Inova Health System, Virginia Tech and Carilion Clinic, and is the first cross-state effort in Virginia to integrate clinical and translational research resources. Affiliates of the iTHRIV include the Center for Open Science, a non-profit technology organization based in Charlottesville, Virginia, and UVA’s Licensing & Ventures Group. “This grant is an indication of the innovative research happening right here in Virginia,” Carilion President and CEO Nancy Howell Agee said in a statement, calling it an investment to improve lives across the state. Translational research – the process of applying knowledge from basic biology and clinical trials to improve health outcomes for patients – is a main focus point for iTHRIV, which brings together areas of expertise, including clinical research and data science. It uses an integrated team of experts focused on translating useful information from laboratories to doctors’ offices and hospitals, while a focus on multidisciplinary collaborations helps develop a culture of creating knowledge to answer complex medical questions. The Clinical and Translational Science Awards program, which now includes iTHRIV, is designed to help research teams, including scientists, patient advocacy organizations and community members, to tackle significant scientific and operational problems in clinical and translational research that no one team can overcome. The program’s goals are to train and nurture the clinical and translational science workforce and engage patients and communities in all phases of the translational process. 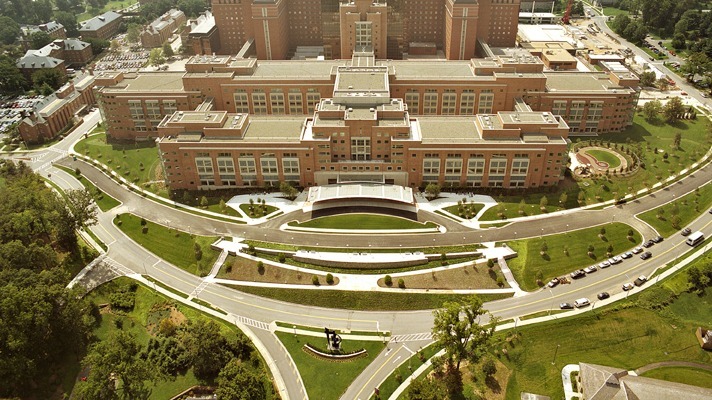 The awards program is supported by the NIH’s National Center for Advancing Translational Sciences, a network includes approximately 60 institutions around the country. The grant program is also designed to promote the integration of special and underserved populations in translational research, as well as advance the use of informatics and data science and innovate processes to improve the quality and efficiency of translational research. Various members of the iTHRIV consortium have been making big progress on various innovations for improved and more personalized care delivery. Carilion Clinic has been harnessing its analytics program to make better use of social determinants of health, for instance. And UVA has recently rolled out new data visualization and agile framework strategies to boost the patient experience there. And NIH, of course, has been pursuing precision medicine advances on other fronts, especially with its massive All of Us Research Program. “Translational research is essential to the development of new medical treatments that address currently unmet patient needs,” Dr. Mickey Kim, senior vice president of research and commercialization and the head of Inova Translational Medicine Institute, said in a statement. “We are extremely excited about the potential of this statewide collaboration to accelerate the development of new treatments and improve the health of people across the commonwealth and beyond,” Richard Shannon, UVA’s executive vice president for health affairs, said in a statement.